Archaeologists have made a startling discovery while excavating at the Templo Mayor of the city of Tenochtitlan. 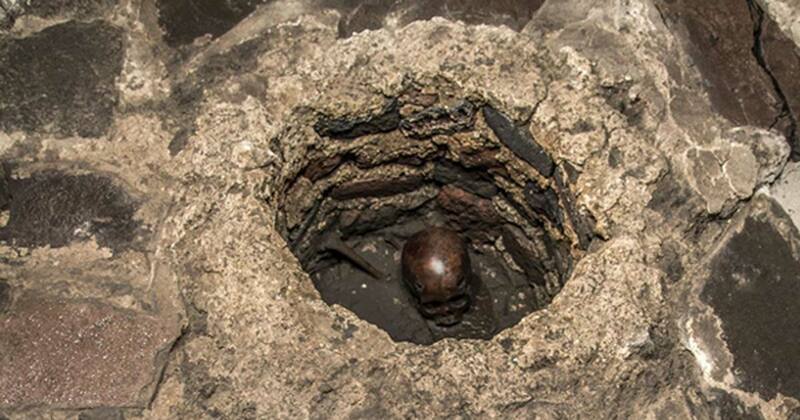 They’ve unearthed the remains of a child who they believe was sacrificed to the Aztec god of war . While an Aztec sacrifice may not seem particularly surprising, the nature of the burial has some unusual features. The team from the Mexican National Institute of Anthropology and History (INAH) found the remains of an eight to ten-year-old boy in October of last year. Analysis of the Aztec child sacrifice’s remains showed that the boy’s teeth were heavily worn and he had suffered from several infections in his mouth. It is believed he died sometime during the reign of Ahuízotl (1486-1502). Other unusual elements of the burial, known as “Offering 176”, include the grave goods. The boy was wearing jewelry made of jadeite from Guatemala and blue beads of an unknown origin. National Geographic Spain reports he was wearing rectangular wooden earrings and a wooden breastplate called an anahuatl, bearing insignias of the gods Huitzilopochtli, Tezcatlipoca, Tlahuizcalpantecuhtli and Mixcóatl. The connection to Huitzilopochtli was further enhanced by the presence of the wings of a forest hawk, with their ocher and blue coloring, and the obvious location of the burial - in the west side of a Huitzilopochtli temple. Huitzilopochtli was one of the most important Aztec deities. He was the god of the sun, warfare, military conquest, sacrifice, and the patron god of Tenochtitlan. 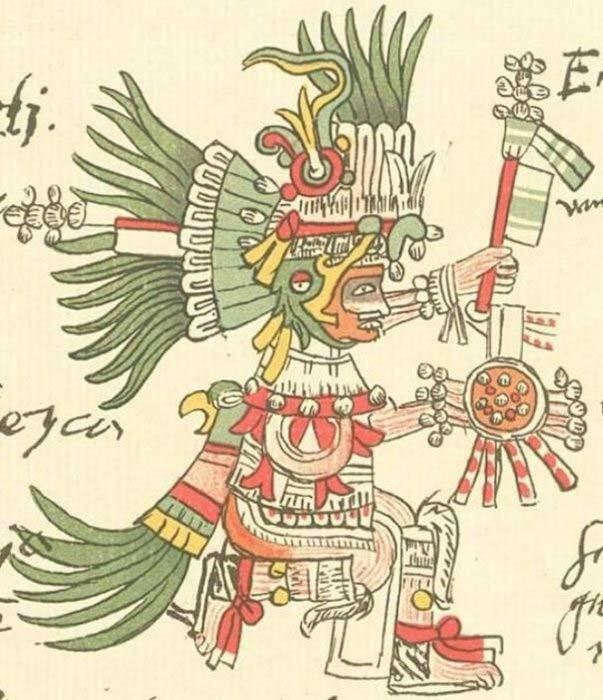 In their myth, the Aztecs claimed that Huitzilopochtli had to go to battle each day to defeat the night. Since the sun god’s victory was not a certainty, they provided him with nourishment in the form of sacrifices. Normally, but not always, the victims were enemies captured in war. The person selected for sacrifice was led up to the top of the Templo Mayor, the main temple in Tenochtitlan. There, priests would cut the person’s heart from their chest then throw the victim’s body down the temple’s steps. 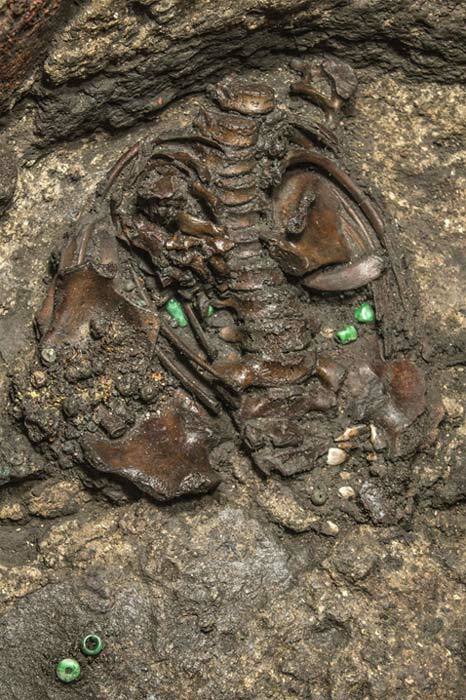 While human sacrifices are quite commonplace for archaeologists exploring the ancient world of the Aztecs, similar child sacrifices around the Templo Mayor are relatively few. The only other Aztec child sacrifice found nearby so far was unearthed in 2005. It is called “Offering 111” and also had hawk wings placed in its burial. That child died at the age of just five years old and had its heart removed in a sacrificial ritual. Archaeologists are uncertain if Offering 176 had undergone the same brutal end. However, it seems the Aztec child sacrifices to Huitzilopochtli were made when priests wanted the deity to show them the outcome of a battle.